About a month ago, I decided it was time to hit the reset button for me and my children. This is never easy because unfortunately, I often need to bottom-out before I deeply reflect and take action. After having my ninth day in a row of both children not listening to me, fighting with each other, and fighting with me, I hit pause. I prayed. I reflected. I cried (and quite possibly went through half a box of tissues in the process). 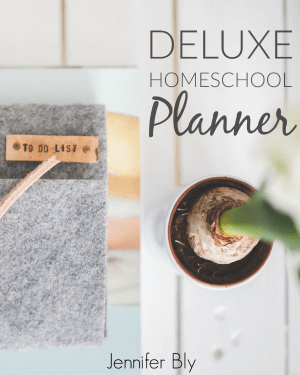 However, I came away from this time of reflection feeling secure in my abilities as a mom and ready to implement some much-needed strategies. I’m still in the thick of things. My children still have their “moments” but I feel like I’m starting to see some positive changes. My first step in resetting everyone was to disconnect. I pulled the plug on screen time for everyone during the day. No television, no Netflix, no laptop, no iPad. I also applied the same rules to me. In the afternoons, I used to have my kids “relax” and watch a couple shows while I wrote, did blog-related work, or cleaned the house. I ended this set screen time – even for myself! I moved my blog-work to the evenings after the kids are in bed. Why did I disconnect? I realized that too much screen time not only had a negative impact on my children’s behaviour but it also made me feel short-tempered. This change also allowed us the opportunity to reconnect with one another. As soon as I disconnected the children from television and devices, I knew I would have to help them find a way to use their time. This was the perfect opportunity for us to reconnect with each other. This extra time together helped strengthen our relationship and increased our appreciation of each another. I began to notice my girls played more with each other because they had started their days playing with me. Meanwhile with this disconnected time, I spent some time educating myself. I made a schedule of the parenting books I wanted to read. 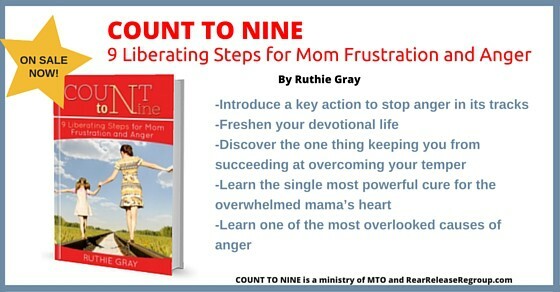 Since I had returned to edgy, angry behaviour with my children, I decided to first revisit Ruthie Gray’s book, COUNT TO Nine: 9 Liberating Steps to Mom Anger and Frustration. I have been working my way through the book and revisiting its pillar scriptures. Yelling and getting angry with my children only creates an atmosphere of tension and distrust. Since I’m on a mission to reclaim peace in my house, I recognized that the peace needed to start with me. My youngest daughter was craving attention and had gotten into a rut of seeking negative attention. While reconnecting with her helped our relationship, she still sought out negative attention when interacting with her sister. To tackle this challenge, I planned activities for the three of us to do together. Whenever, my youngest daughter was speaking or playing nicely, I would commend her for it. I praised, praised, and then praised some more. I also spoke with my oldest daughter and told her that if her little sister was doing something good, to let her know it! For instance, if she decided to share a toy, I told my oldest daughter to praise her sister for making a good choice. When it comes to parenting, it can take a while to see the positive results of your efforts. I had to practice incredible patience during this period of time. I also had to extend grace to myself and my children. We’ve had some amazing days and we’ve had some horrible days… but at least the horrible days aren’t crashing into each other like a row of dominoes. Our bad days are spread further apart and I can catch my breath and regroup between them. When I introduced television time back into our schedule I was especially discerning. I limited my children’s show choices to: Mr. Dressup, Yo Gabba Gabba, The Backyardigans, and Veggie Tales. 1- I know all of these shows because we own them on DVD. I have watched them repeatedly with my children, so I know the issues/conflicts and lessons taught in them. 2- Since these shows are on DVD, I can press play and that’s all they can watch (whereas with watching a cartoon channel, one show runs into another, and another). I also had to be discerning when reintroducing technology time. The timer is set and my girls currently get 1 hour/week to play their video games. 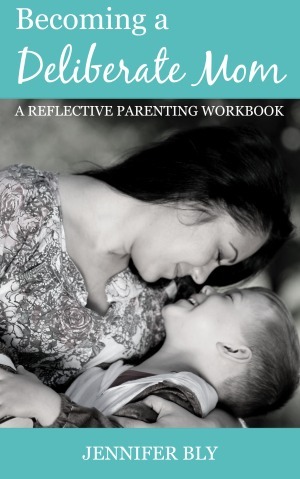 One of the key reasons why I created the Becoming a Deliberate Mom Workbook is because it guides me through the process of reflecting and deepening my parenting practice. In fact, the final chapter is all about becoming more reflective. When I pause and reflect, I can usually move forward with confidence. I’m still in the midst of these changes. As I mentioned previously, there have been some positive shifts and I feel like I’m getting some authority and peace back in my house once again. What do you do if your kids are getting out of control? Have you ever had a mommy bootcamp?! It’s funny how parenting goes in these waves. I know what I need to do / should be doing but then something shifts (a new activity, they reach another milestone) and we’re out of sync again. Thanks for sharing your experience with the “Mommy Bootcamp” Janine. 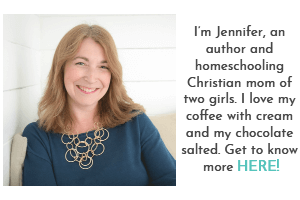 Hello Jennifer, Thank you very much for sharing these wonderful parenting tips filled with Godly practical wisdom. This article is in deed God’s answer to my prayer this morning(United Kingdom). I am not going to say much but it is amazing how God works as when i was praying for God to make me a better mom to my 3 year daughter (also i have a 5 month old boy) i was receiving in my spirit some of the tips. Wow! am going out acting from now and I trust God to help me and give me grace and more grace. Thank you so much! God bless you. I’m delighted that this post found its way to you Margaret. God is so good like that, isn’t He?! I’ll be praying for you and your journey forward. Sometimes we just need to press “reset”. This is definitely something I need. We will start with disconnecting today and go from there.. Thanks for this, really needed it! Wonderful Marina! Disconnecting is the best place to start! Thanks for sharing your thoughts on my “mommy bootcamp”. Those ruts and cycles of negative attention are hard. I can see them happening. I’ve been in a work project since the end of September and it’s only now letting up. It’s totally changed me and I’m so relieved I can disconnect and reconnect soon! Yes, the negative attention one has been challenging. We’re coming out of it though… it just takes a lot of work! Thanks for sharing your thoughts on this Tamara. I know the struggle! We actually have done something similar over the last month or so. My husband and I needed it as much as my kids, though. I actually packed up our tv and moved it downstairs for a while. I have been amazed at how my kids have not really even asked for videos, even though we had been in the habit of watching 2 or 3 short videos in the afternoon. I realized I was using that as a crutch and an escape, and that I needed to take a break and help us all to refocus in better ways for a while. I l appreciate this list– especially the parts about reconnecting and showing attention. Doing these simple things can make such a big difference in my kids’ behaviors and my attitudes! Thanks for sharing your thoughts on my “mommy bootcamp” Lisa. I, too, was using the television as a crutch and while yes, it kept them quiet and busy so I could get things done, I would always pay for it with horrible behaviour afterwards. Oy vey, I have mommy boot camped myself a few times. Sometimes I am just stinking in my role and things needs to be rewound, if possible, and the start fresh button needs to be implemented. Great tips my friend! I like your be discerning tip. We don’t have cable and so I get to pick what we watch and I like that! The mommy bootcamp is a necessity every once in a while. We all get into ruts but I’m so glad I was able to climb out of this one. I was loosing my sanity. 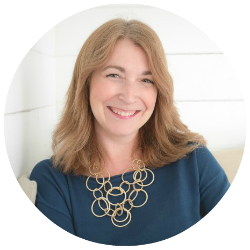 I’m glad these tips resonated with you Jen! This is a great article! I have seen a huge difference in my kids behaviour since limiting screen time. Excited to try some of your ideas. It’s amazing how limiting screen time can make a radical difference to their behaviour! I saw a change within a couple days! Thanks for sharing your thoughts on this Kelli! I need to take this approach with A. We’ve been having some rough days. We’re still muddling on some days but man did it ever make a difference. I was a hair away from falling apart!